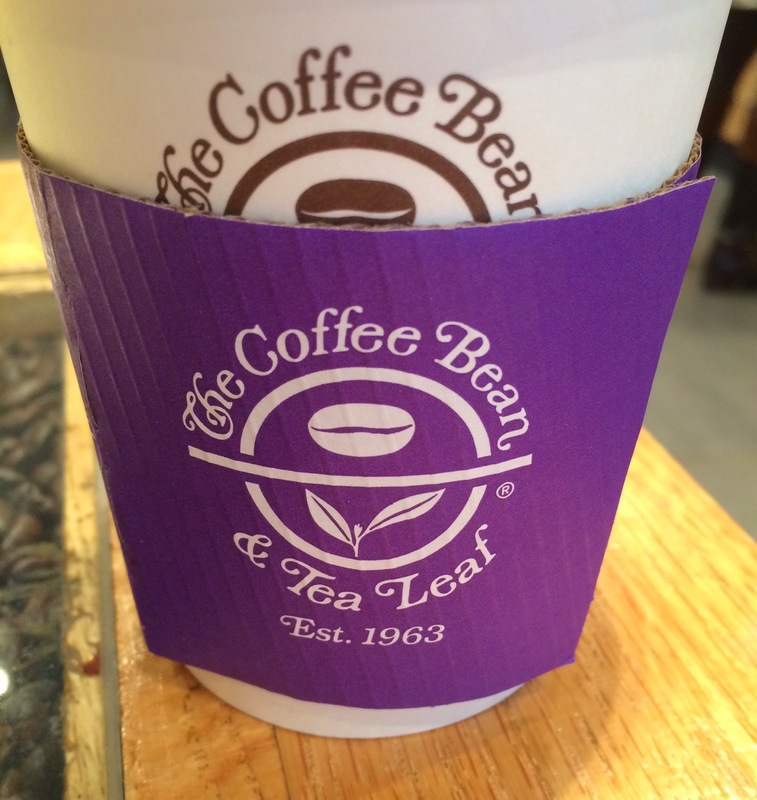 I went to "The Coffee Bean & Tea Leaf" for the first time even though I've seen many locations. 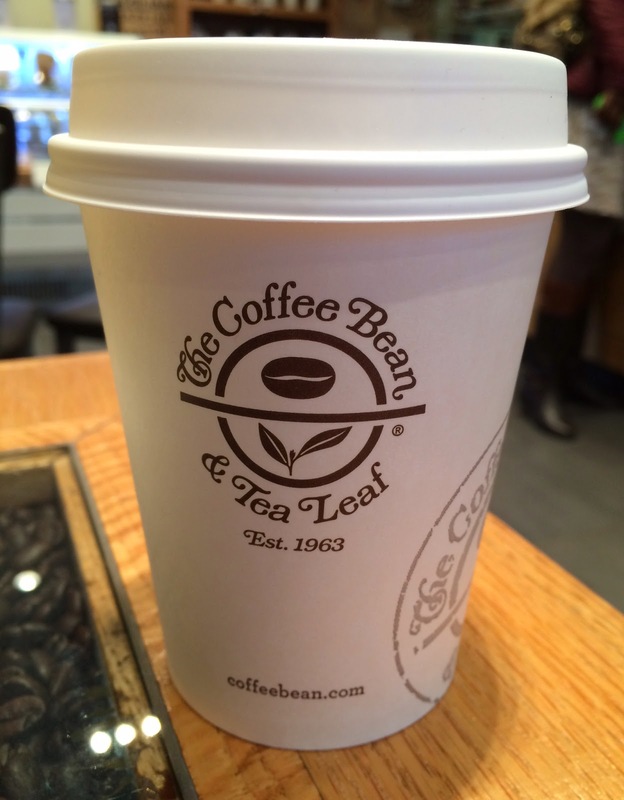 They're not only famous for coffee, but also serve teas, so as a non-coffee lover, I was interested in trying this place. And they're opening a first shop in Nihonbashi, Tokyo, in May, 2015. 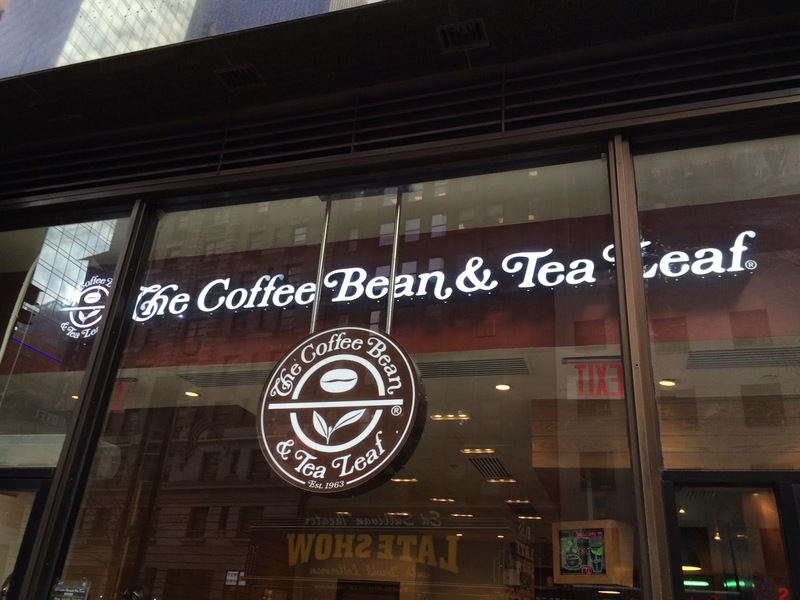 The Coffee Bean & Tea Leaf is an American coffee chain founded in LA, in 1963. 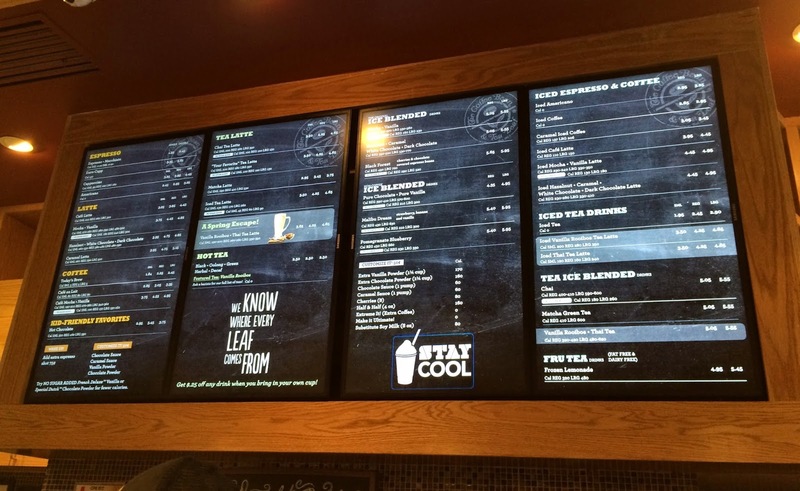 As of August 2014, the chain has over 900 stores in the U.S. and 24 other countries. According to the HP, all stores in Southern California, Arizona, Nevada, New York and Florida are Kosher, but I forgot to find the Kosher Certificate today. Also all the coffees, teas, and powders used in their beverages are Kosher. This branch had 5 tables with 2 chairs and a counter with 3 tall chairs, so it's a compact space. I could find a space to sit, and I saw more than 50% of the consumers were to-go. I ordered Chai Tea Latte with almond milk but they have whole, low-fat and skim milk. In about 5 minutes, my chai was ready. On the purple sleeve, there're some interesting trivia. "Did you know? 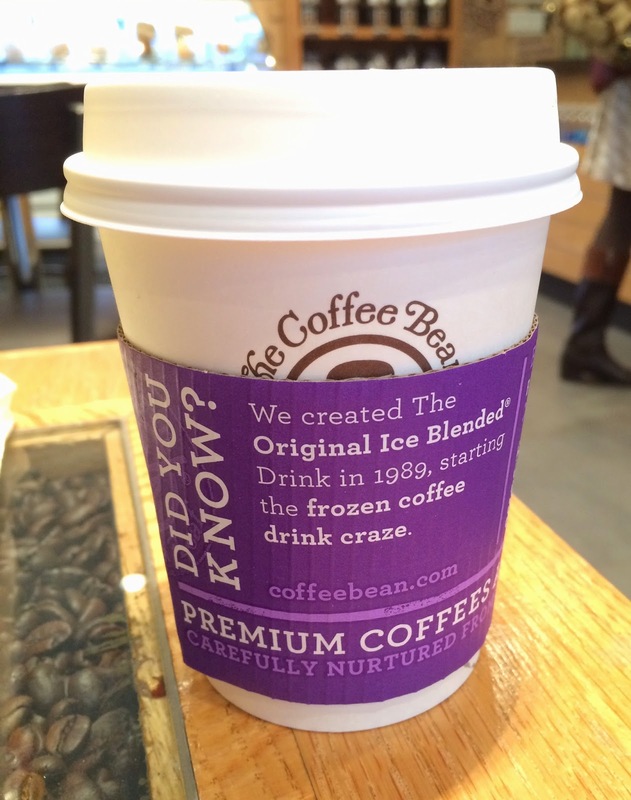 We created the original ice blended drink in 1989, starting the frozen coffee drink craze." 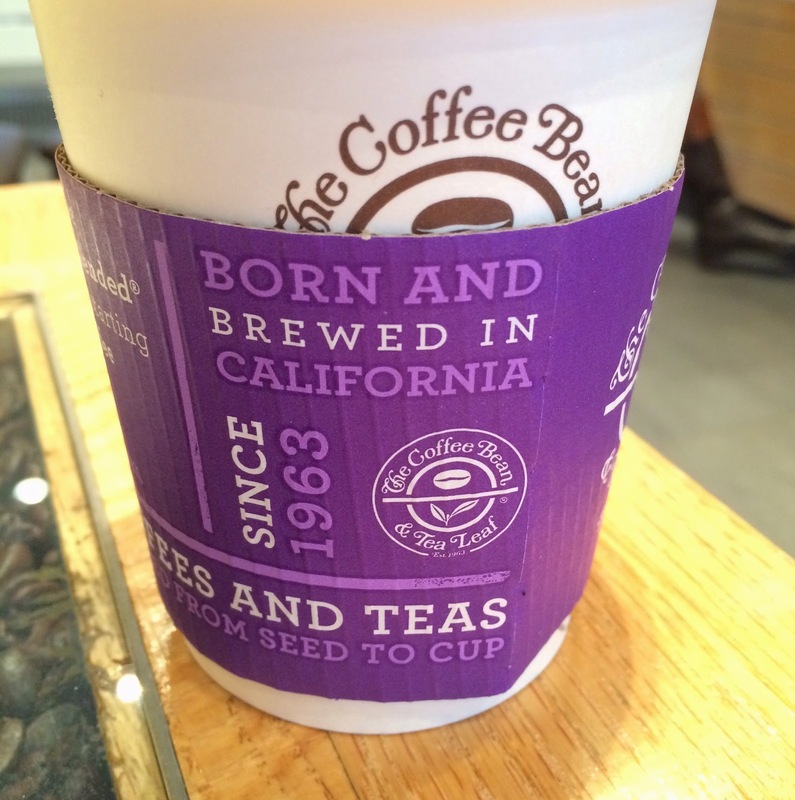 "Born and brewed in California since 1963." 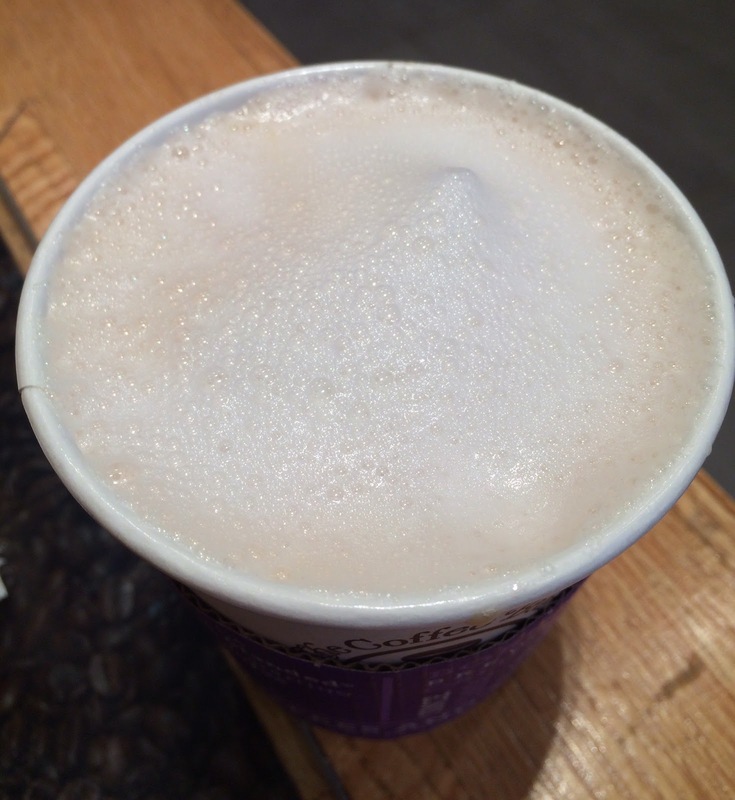 The paper cup was white, and so was the lid. Tea was covered with fine and light milk, but I could smell cinnamon well. It's sweet but not that sugary, and cinnamon wasn't that strong as it also had some spicy taste like ginger. 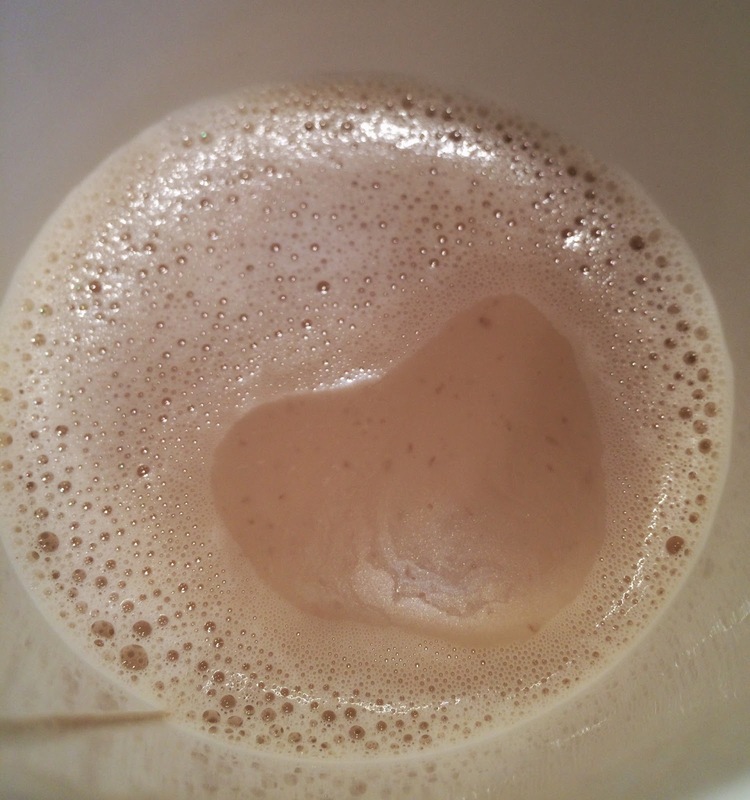 The chai wasn't too sweet and it's perfect for me, and now I'm interested in Matcha Latte.